This travel brush features a reversible end that allows the brush hairs and ferrule to be secured within the handle for easy transportation. 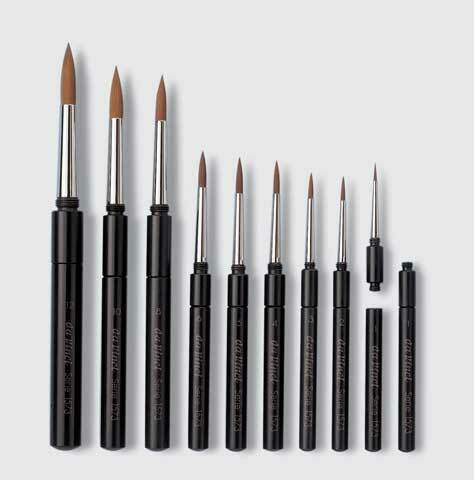 The indestructible handle casing has a ventilation hole so the brush will dry perfectly when stored. The blending and placement of five different diameters of fine synthetic filaments make the brush perform like natural hair and give it an energetic spring.